The globular jar rises from a flat base to full rounded shoulders surmounted by a short neck with thick rounded rim. A short tubular spout is attached between two loop handles on the shoulder. The translucent glaze, applied in two thin layers over the greyish-white stoneware terminates in sweeping lines above the base while the interior is coated with a translucent glaze. 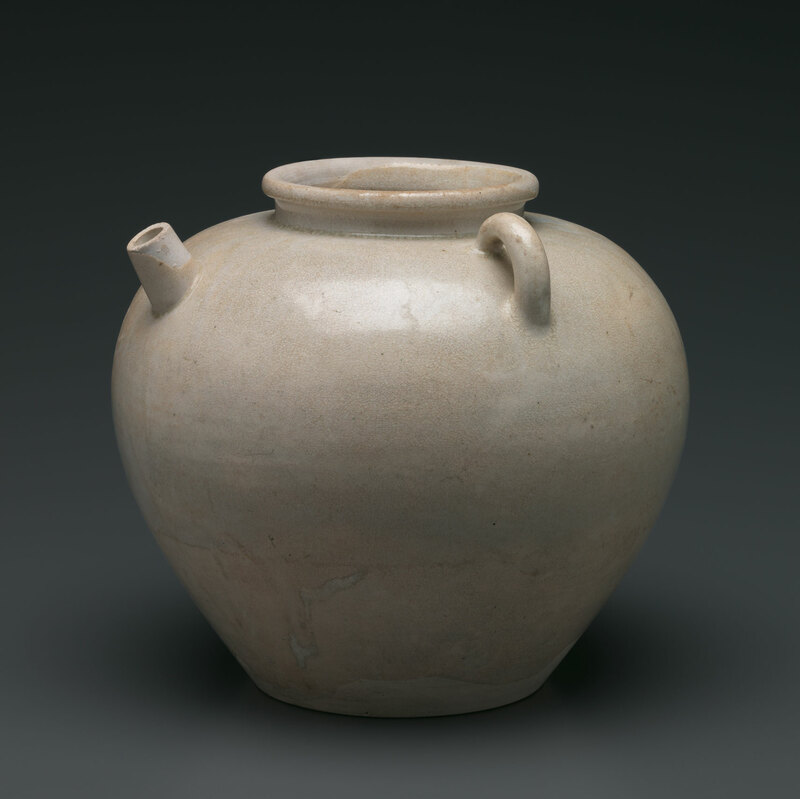 Jars produced in this iconic Tang form—full-bodied, bulbous, and buoyant in appearance—are only infrequently seen in white stoneware and those additionally with spouts and handles are extremely rare. The former owner of the present piece, the eccentric Walter Hochstadter, made reference to another jar of this type with both spout and handles that he had sold to a New York collector. Thus far, to our knowledge, none other of this type has been published. These jars would have been produced either in southern Hebei or in Gongxian in Henan province, the second major source of white wares during the Tang period.